Two tournaments announced by Jim. Today Jim has announced that he will sponsor 2 tournaments for young players in the area. These will be for girls and boys, each having their own competition at different venues. The girls will compete at De Aston School in Market Rasen, and the boys at Branston School on the outskirts of Lincoln. 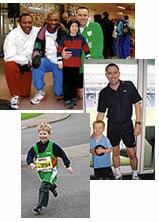 Teams invited to take part will be from schools that Jim has coached in since he started his venture. The girls tournament will be for under 16's, and the boys will be competing at the under 14's level. Jim says " I have put on a couple of these tournaments in previous years and they have always been very competitive. Last years was one for the year 11 boys, and Branston came out on top. However, this year is the first time I have put on a girls tournament." Jim will provide medals and undertake all the refereeing for both tournaments. The final dates have yet to be finalised, but they will be before Easter.